The electric-car maker’s CEO might sustain demand by cutting prices to offset a reduced tax break for buyers. But that could slash earnings in half. Putting volume over profit was one of Ford and GM’s pre-crash mistakes, hurting quality too. Musk is driving down a similar road. 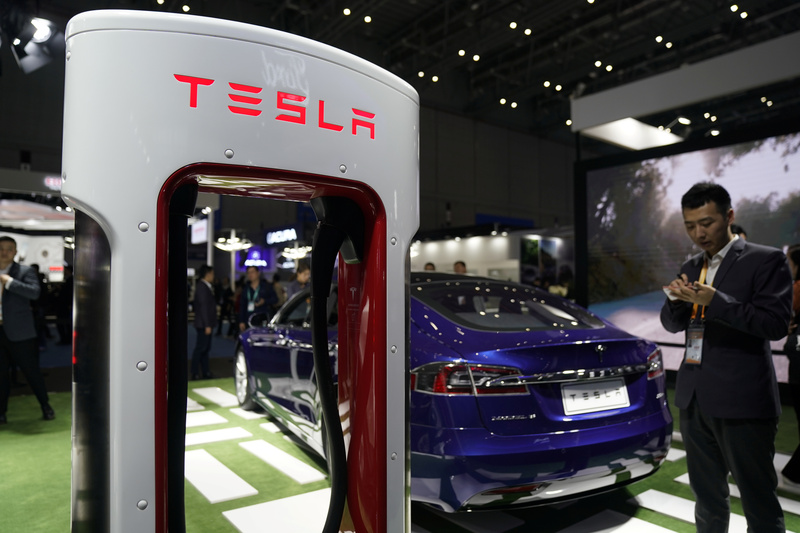 A Tesla sign is seen during the China International Import Expo (CIIE), at the National Exhibition and Convention Center in Shanghai, China November 6, 2018. Tesla on Jan. 2 said it would cut the price of each vehicle by $2,000 to help offset the reduction in federal tax credits that took effect at the start of 2019. Buyers of the Model 3, S or X can now claim back only $3,750 from Uncle Sam, compared with $7,500 beforehand. That’s because total U.S. sales by Tesla hit 200,000 last year, the level at which the federal electric-vehicle tax credit starts to be phased out for each manufacturer. The tax credit for new Teslas will be $3,750 for the next six months. It will then be cut in half again and will expire completely at the end of 2019. Tesla on Jan. 2 also said that it delivered 90,700 vehicles in the fourth quarter. That’s 8 percent higher than in the three months to the end of September, but some 1.4 percent below analysts’ estimates as compiled by FactSet.